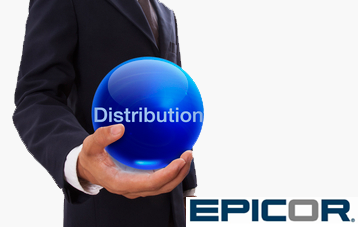 You are here: / Epicor Financials / Reasons for not being able to Go Live on your ERP system. Trying to go live for months or even years with your new ERP system? 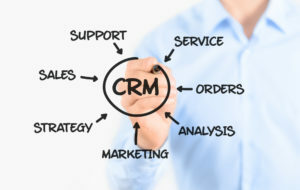 Whether you use one of the solutions we at Clients First sells such as Epicor, Microsoft Dynamics NAV (Navision), SAP, or Sage or any other ERP solution on the market, we see and hear this as a common problem. It’s actually just as frustrating to us as ERP consultants, VAR’s and service people as it is to you as an end user of these solutions. In recent years, it almost seems to have become an epidemic. Even though both the reseller like Clients First and the client mutually agree on a project plan and timelines, more and more often we are seeing projects that move along well and then stall or never really get moving smoothly. In almost every case the client tells us its them not us and they are correct. We have weekly project management calls, monthly steering committee meetings and yet the project stalls out. It can be baffling as the client has invested a significant sum in software and services to improve their business and yet they will never see ROI (Return on Investment) on their ERP project because their go live date keeps getting pushed out. In many of these situations, the actual hours billed aren’t greater than originally planned they just get spread out over many more months or even years. Eventually they can exceed the original budget because of all the data refreshing, retraining and potential team turnover as described below. Often, because of the length of the implementation, software upgrades need to be done to ensure the product being used to go live is current and as bug free as possible. Just another cost of a delayed implementation. Why companies can’t get across the finish line with their ERP projects? We’ve done some research into this increasingly common phenomena and have some conclusions and recommendations to help you avoid this situation and if you are in the middle of it, how to get moving forward and across the finish line and go live with your ERP project. Business is too good! 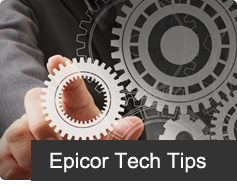 Interesting that success can actually prevent you from getting the business improvement from your Epicor ERP project. The opposite of the above. In this case business took an unexpected turn from the worst and the client is concerned about laying out cash for non daily critical operating activities. Nothing hurts a project more than investing time and money training and involving key staff members and they decide to take another position elsewhere. Not only is much of the progress lost, but often the replacing person had different ideas of how to accomplish the goals and we have to back track setup and implementation decisions. Staff turnover can even happen with ERP Consulting companies like us. However, if your project that originally had a 5 month project plan is now 2 years in, the odds are greater of a turnover happening at either the Consulting company or at the client. In some cases, the team wants to accomplish the project in the originally agreed upon timeline but the clients executive management is less interested in the project and more interested in other ways to use the resources. The team then gets pulled off the ability to dedicate time to the project and the project once again drags on. 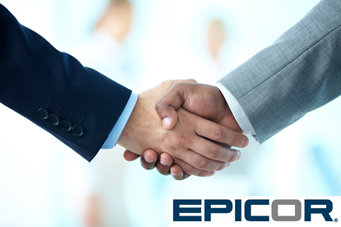 This is what happens when users start to see and understand the power of a system like Epicor and decide they want to add modules, reports, customization and functionality while the solution is being implemented. It’s critical to keep the scope to the functional areas discussed during the sales process and pre-implementation planning and other ‘nice to have’ items be added to future ‘phases’ with their own work orders, budgets and timelines. Get the system up and running and providing value before expanding the scope of the solution. These are just some of the more popular reasons. There are always good ‘excuses’ as most of our clients treat their Customers First (Like our name Clients First) and they take priority over their own ERP system implementation. However, if you don’t properly plan for the time, staffing and effort required up front, you might very well end up spending more than originally planned and possibly never going live on the system. If the latter happens, its not uncommon to blame the consulting firm and have other internal finger pointing but the reality is, you didn’t properly dedicate the resources necessary or insisted on a timeline that wasn’t realistic. 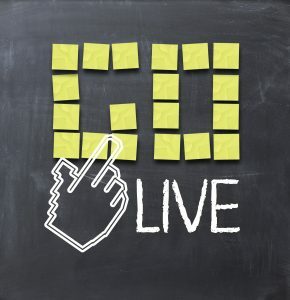 Ways to avoid the never ending push out of a go live date. Make sure from the executive suite on down, all at your organization are aware that this is a major project that involves not only a monetary investment but a significant investment in time. Set realistic timelines. If you know you have a ‘busy season’ or have a series of trade shows, make sure the delays from that, and the time needed to catch up internally from that lost time is accounted for in your project plan and timeline. 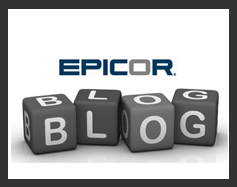 Potentially increase your implementation budget and pay your Epicor ERP consulting firm to do some of the tasks you were planning on doing internally. Often our clients assume they will import their existing data or create their financial or operational reports. We encourage our clients to learn to be as self sufficient as possible. However, taking on too much responsibility to save money without the matching availability of client resources can result in a go live that never happens. Look into the option of hiring temporary personnel or even interns. Usually the best use of such personnel is to help you with your existing daily tasks while you work on the ERP project. We don’t recommend you hire temps or interns to do the project work because you want to keep the knowledge learned from the implementation within your company after go live so as to avoid additional time and money on retraining exercises. Do not allow your project managers and especially your executive sponsors to miss key meetings. It’s ok to miss them once in a while, but when executives drop out of monthly steering committee meetings we often find the next time we hear from those executives are when they aren’t happy with the project progress and they are there to crack the whip on everyone. If they are involved throughout the project, they can ensure the staff stays on target and with the timeline just by their very presence. If you must push back the go live, re-level set the project and ensure that the resources will have the availability going forward to make the new timeline or you will end up in a ‘groundhog day’ loop. Let Clients First help you get live. 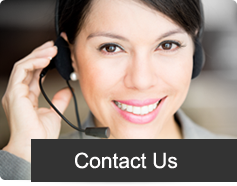 If you are currently working with your software vendor or another partner that does not have the managerial skills to get your project across the finish line and live, please give us a call at 866-667-6290 or hit the chat button below to talk with us or leave a message. Our decades of experience allows us to make an honest assessment of your situation, sometimes deliver some ‘tough love’ and and can help get you turned around and back on track to a successful go live.